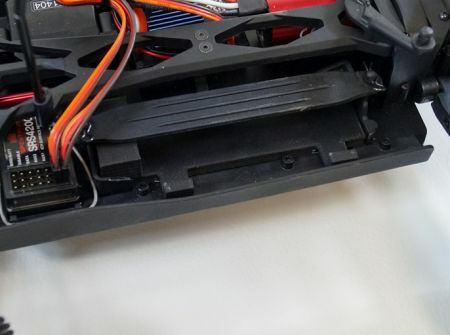 This all new Battery Tray Insert for the Losi Mini 8ight and Mini 8ight-T widens the available battery tray space allowing for larger LiPo batteries like our LiPo 1850 2-cell 7.4v Pack to fit. 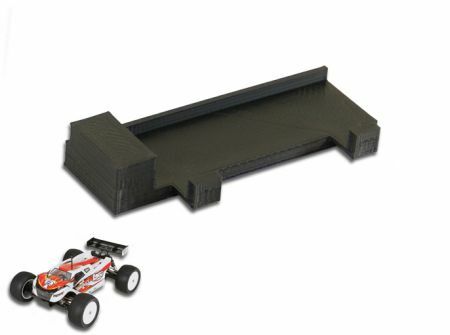 Also fits Team Associated RC18 vehicles. Awesome product. I was so limited to lLiPo Batteries for my Mini 8ight until I found this item. This battery tray adapter is really slick. A totally hassle free way to bring my Associated 18r to the next level of speed and run time! Tray works as described,perfect fit.only one thing is missing from this awesome design is an extended post that goes over the stock battery post for the taller 3s maxamps lipo.